On the last Friday of every month there’s an an “organized coincidence” ride around central Bristol, with no leadership or membership. It’s one of the worldwide Critical Mass events. 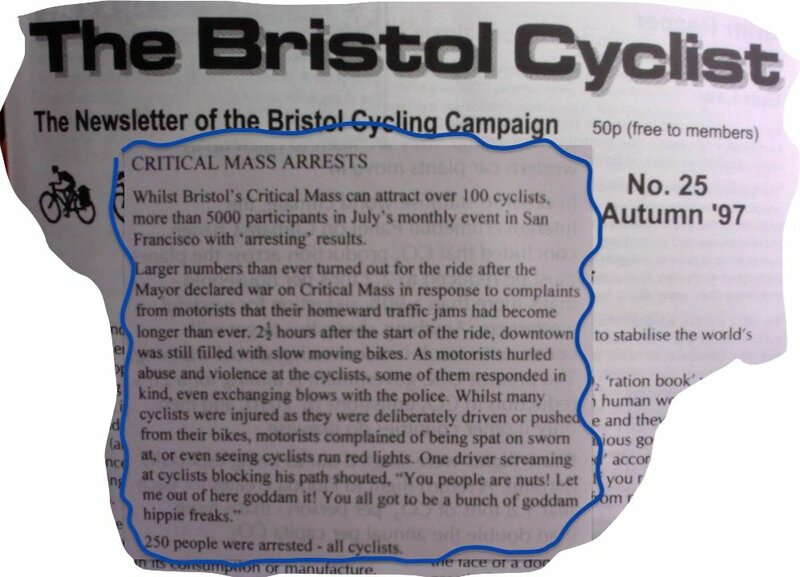 These rides have been happening, on and off, since at least 1997 in Bristol (see article in issue 25 of our membership magazine as below). Currently the rides are going strong, supported by an active Facebook group. The next one is on Sept 28th at the usual place and time of 6pm for 6.30 on College Green. 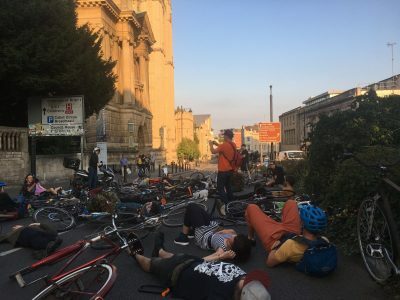 The August 2018 ride included a ‘die in’ on Park Row by the Wills Building where a cyclist had been seriously injured earlier in the week. There’s an interesting spin off focussed on the issue of children and cycling called ‘Kidical Mass’ with our very own group in Bristol.